Acid Midget: should i have paid? Stumbled home from Oxford St the other night, five beers in my right hand and one in my left. 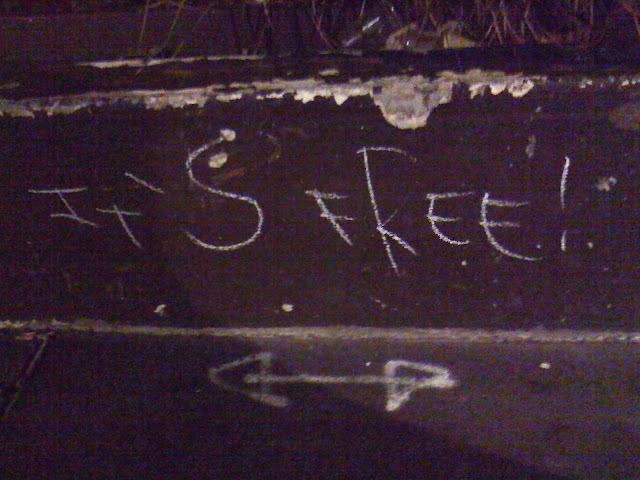 Noticed “it’s free” scribbled all around Bourke St. Not sure what it means. Don’t think it matters. Are the objects it’s written on ‘free’, in the sense that a gutter/pole/footpath is owned by the state? Is the urban landscape we live in a ‘commune’? Is the materialism and personal branding of hipsters ‘hollow’? Should we stop paying for BJs? Damn, you must've had an upbringing like Richard Pryor. Glass half empty/full question: r u a Blair or Serena?